The original hard hat of it's day, the bowler is best made from durable western weight felts. 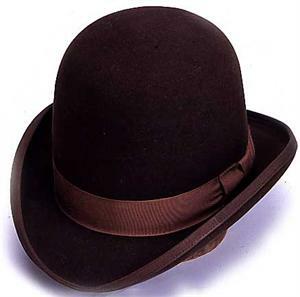 Shown in chocolate brown with ribbon band. Can be ordered with extra stiffness for greater durability. May also be ordered without the binding. Custom hat bands must be ordered separately.